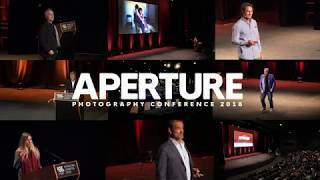 Aperture Australia is the annual conference to attend if you’re committed to sharpening your craft and connections as a photographer – whether amateur or professional. Held over one intensive weekend in the heart of Sydney, those on the guest list can access firsthand advice from influential and iconic photographers who have made waves with their work internationally. Ray Martin is back again to host the event as well as lead the thought-provoking and inspiring speaker panel discussions. Aperture’s featured photographers will showcase the raw stories behind their most iconic shots to inspire your own approach to the profession. Keep up-to-date with industry trends and emerging technology through workshops, break-out sessions, trade stalls, and equipment tech-talks. In just two days, attendees are surrounded by more industry expertise, enthusiasm and unrivalled networking opportunities than they’ll likely find in an entire year.